Searching for music can be a very challenging task. You hear a great new song on the radio, but the DJ doesn’t announce the artist or title and you have no idea what it is. Afterwards, you try humming the tune to your friends or singing parts of the lyrics, and still nobody can identify the song. Here are some tips on how to use the web to your advantage and search for the song you are trying to find! If you know some of the lyrics, use them! Sometimes the catchiest phrase will not work because it is so common, so look for a more obscure or catchy phrase from the song. Let’s look at the Billboard Hot 100 for a song. Currently at #1 is “So What” by Pink. Luckily the first result in a search for “The waiter just took my table And gave to Jessica” provides us with exactly what we are looking for, “So What Lyrics – Pink.” We now know the artist and song title. If the Google search doesn’t yield any good results, let’s refine our search and use lyrics databases. Shazam – The Music identification application Shazam started in 2002 and now has over 6 million tracks in its database. With the recent release of its iPhone version, Shazam is now one of the most music identification applications. Turn on Shazam, hold it near the music, and in a few seconds it’ll identify the artist and name of the track. It’s that easy! Midomi – Midomi is an application similar to Shazam, but it uses your voice to identify the song. Sing or hum the song and it’ll try to identify it for you! Now to see if your search has been successful. Plug into iTunes the title and artist of the song, and preview it to make sure you have the right version, not a cover or remix. 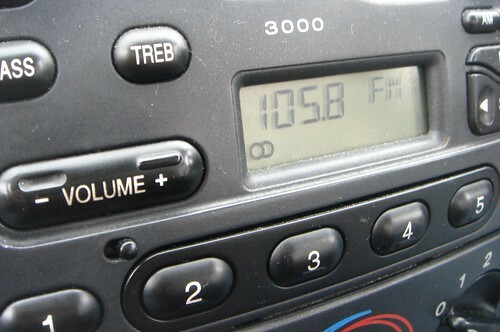 Listen to KCRW (89.9FM in southern California, or KCRW.com around the world). If you’re listening to a song, and you don’t hear the artist and track name, just remember what time it is – then visit their web page and scroll through their log (which lists the time the song was played, the artist, song, album, and publisher).